The People’s Daily article came months ahead of a crackdown on influential “Big V” users on Weibo. It predated by more than a year the creation of Xi Jinping’s Central Leading Group on Cyberspace Affairs, and its powerful new Cyberspace Administration of China (CAC). Looking back, however, the editorial appears to have presaged an era of obsessive law-making on the internet — until these days, it seems, there is no end to the regulations governing the hills and valleys of Chinese cyberspace. On China’s internet today, there truly is no land outside the law. The myriad laws governing cyberspace are designed not to delineate the rights and security of Chinese citizens, but to re-consolidate and legitimize the Party’s dominance over public opinion as a matter of political necessity. Make no mistake: however “unrealistic,” the demand is most certainly what the People’s Daily disavowed back in 2012, that “everyone say the correct thing in the correct way.” And this demand is borne out quite explicitly in the most recent law to drop from the CAC. 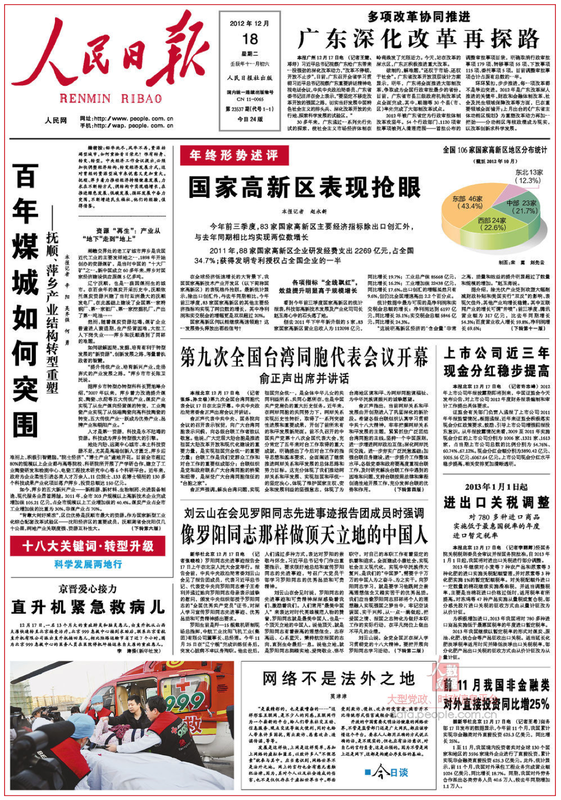 Front page of the December 18, 2012, edition of the People’s Daily. The editorial on the internet and the law is at the bottom of the page, to the right of the image. Article 4 Providers of information services through internet chat groups on the internet, and users, must adhere to correct guidance, promoting socialist core values, fostering a positive and healthy online culture, and protecting a favorable online ecology. This piece of devilry is one of the most specific indications we have yet of the Party’s atomization and personalization of censorship, of the way the relationship between propaganda and the public is being transformed by digital communications. Since 1989, it has been incumbent principally on Party media to abide by “correct guidance,” and to lead the policy of discipline of public opinion. In the traditional media age, this project was exercised through the Central Propaganda Department, which dispensed orders and bans, and actively disciplined journalists, in order to maintain “correct guidance of public opinion.” In this old regime of “guidance,” the Party media played the dominant role in setting the tone, as far as possible, for commercial and internet media that at many points in the past two decades straggled away from the Party line. In the age of mobile technology, when we are all, quite literally, hooked on cyberspace, the game has fundamentally shifted. The digital technologies many thought might disrupt the Party’s dominance of the agenda (“That’s sort of like trying to nail Jello to the wall.”) have given the Party a direct line to the individual consumer — a line that can be controlled and manipulated. The internet, as enjoyed especially through those portable personal computers we call smartphones, brings a bounty of convenience, empowering us in a hundred different ways. But it is also now a Trojan Horse, inviting the state into our most intimate conversations. We talk still, when we refer to China’s vast system of technical and regulatory controls on the internet, about a “Great Firewall” meant to insulate China from the contagion of the outside. 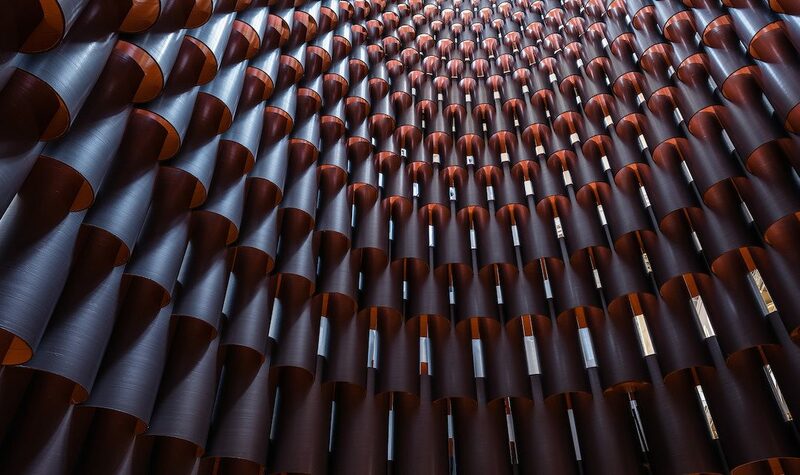 It is probably more suitable now to think instead of a Great Hive of firewalls around the individual, a buzzing nest of connections from which users may be insulated at will. All may share in the collective illusion that they are part of a thriving, humming space, but all are joined to the Party’s re-engineered project of guidance and managed cohesion — and all are buzzing more or less at the same frequency. Here’s a little buzz you may not have heard. He was talking about you. David Bandurski is a Richard von Weizsäcker fellow of the Robert Bosch Academy in Berlin.